True North Restoration Solutions Inc. offers Industrial / Commercial Dry Ice Blasting. In today’s times, Dry Ice (CO2) is used effectively in many different types of industry. Everything from heavy slag removal to delicate circuit board cleaning. Picture a process that can be done in-house with minimum to zero tear down saving time and money. Another large part of the saving process is minimum waste disposal after completion. An environmentally friendly and cost effective process for any type of manufacturing equipment or facility. Dry Ice is a solid form of carbon dioxide (CO2), colourless, tasteless and odourless. CO2 is found naturally in our atmosphere which makes it one of our most important gases. With a low temperature of -109 F ( -78 C) it has an inherent thermal energy ready to be tapped. 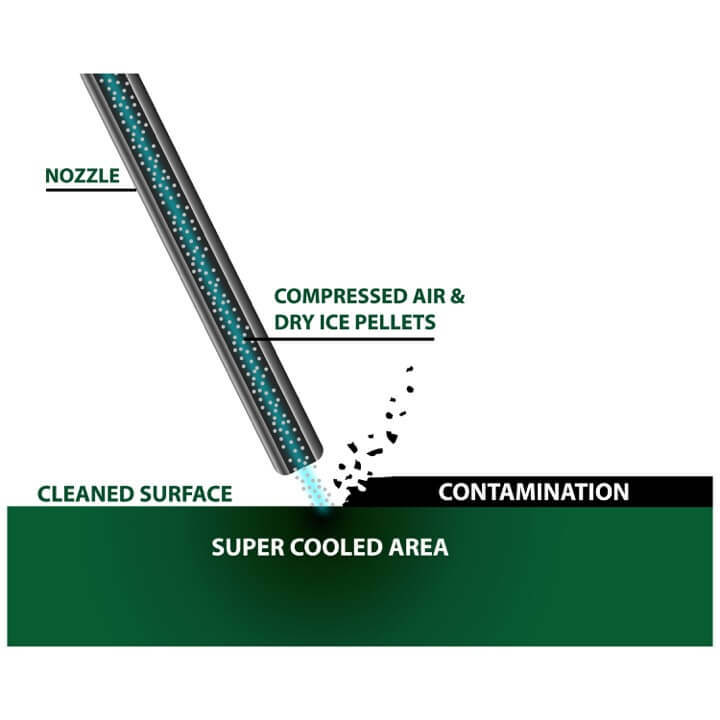 Dry Ice also sublimates directly to vapor without going through a liquid phase which means this type of Blast Media disappears leaving only the contaminant behind for disposal. Dry Ice is also the same grade CO2 used in the food and beverage industry approved by the FDA, EPA and the USDA.